Now you can proudly wear your disdain for Ted Cruz right on your lapel! 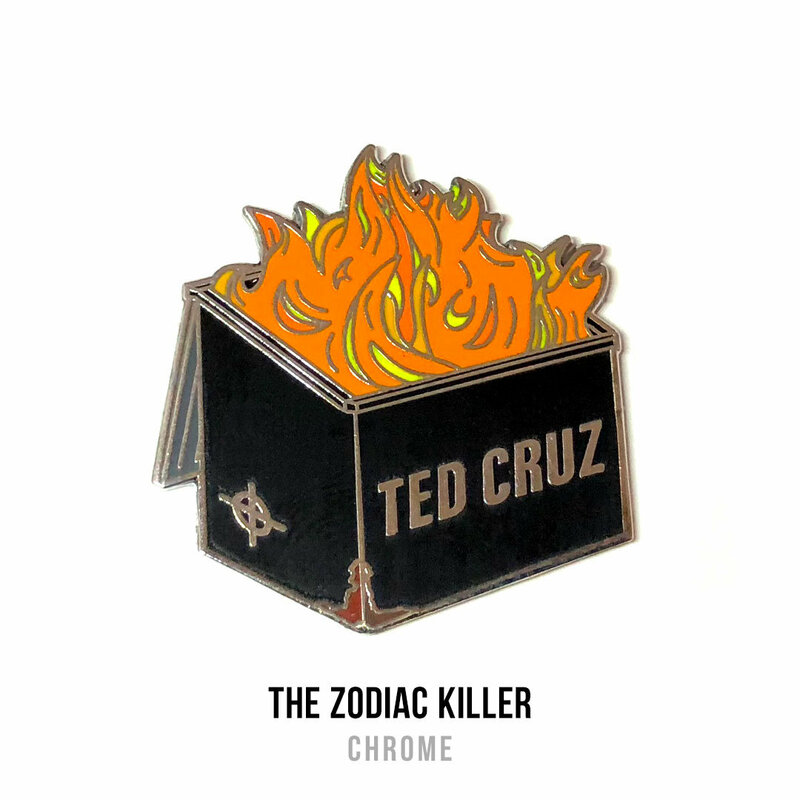 These hard enamel pins measure 1.25” in height, have double posts with rubber clutches, and come carded, bagged, and variant limited editions are hand numbered. Backing cards are a thick 16pt card-stock with a matte finish and spot gloss. 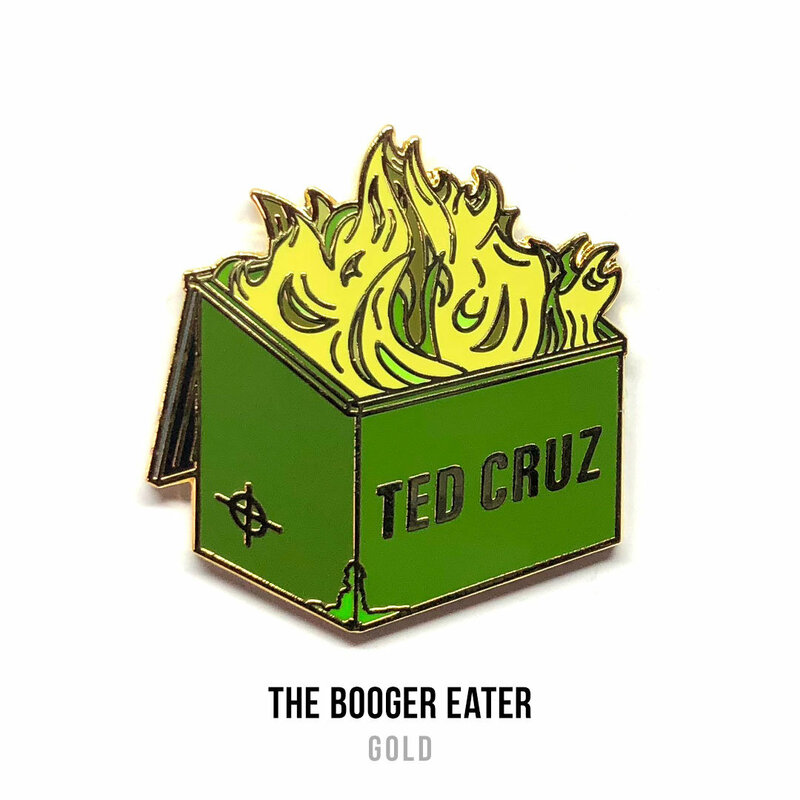 Be sure to check out the GOP version in the shop!